It's Telecast Thursday and I have a decorative machine stitch to show you that I think you'll really like. I'm not a hand quilter: I love doing hand embroidery, but just can't get the hang of hand quilting, so I was really excited to discover that I can replicate the look of a hand stitch with my Janome 8900 sewing machine. There are a few things you need to do to set your sewing machine up to do this hand stitch. 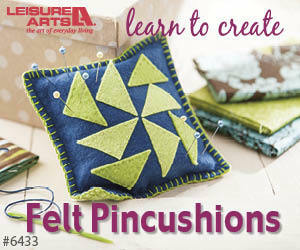 Watch the video below or on my Youtube channel to learn all about creating this faux hand stitch. Are you a hand quilter or does the idea of using a sewing machine to create this look for you appeal to you? Leave a comment below to let me know how you hand quilt.